PTi provides a complete range of reclaim extrusion systems. These systems have been developed for reprocessing foam, film, fluff and rigid scraps. Low bulk densities are a PTi specialty. 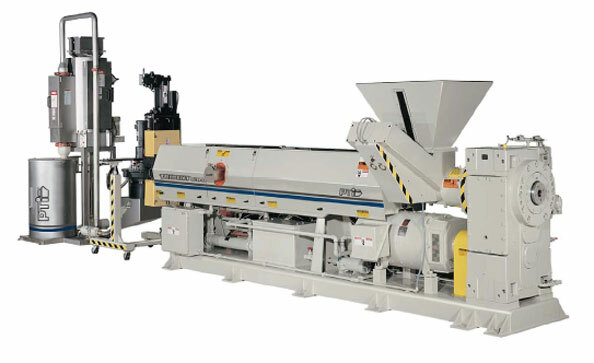 Integrated Film Reclaim System— shredder-fed extrusion pelletizing system used to reprocess polyolefin films in split-bale and/or bulk form quantities. CPF slurry based water ring pelletizer available in 5 unique sizes up to 5000 lb/hr (2250 kg/hr) processing capability.